Welcome to the Outagamie County Veterans Memorial website! Thank you for stopping by! We are proud to announce that our site is now fully functional. 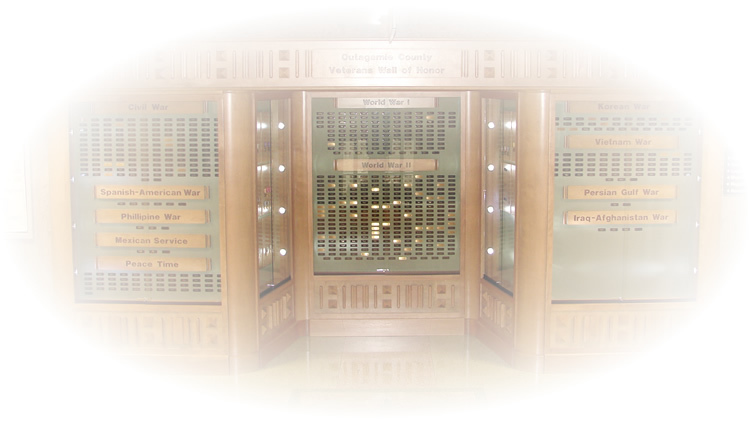 This is an informative site that provides records of all of the men and women from Outagamie County, Wisconsin that died while they served in the Armed Forces for the United States of America. We would like to recognize and honor these men and women no matter when they served, where they served, or how they died. Names are central to memorials. Please click on the "Search" link above to begin your search. If you find that we have missing information,or would like to add info, an image, or a remembrance, please contact us using our online form.